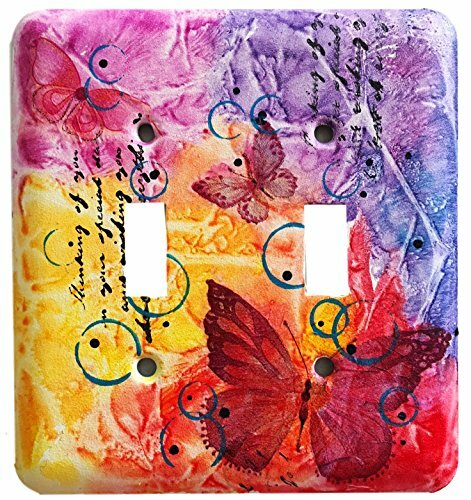 This scratch resistant metal outlet cover hand painted with professional artist acrylic paint. Each switch plate coated with high-gloss varnish to protect the surface and comes with matching screws. Can be clean with wet cloth. Each piece is an original design and hand painted and signed by artist Kumari de Silva. If you have any questions about this product by Abstract and Mixed media Art by Kumari de Silva, contact us by completing and submitting the form below. If you are looking for a specif part number, please include it with your message.